Young Chanel muse Lily-Rose Depp was at her fashion finest last night. Attending Chanel’s spring/summer 2017 show at Paris Fashion Week, Depp shone in the front row. Wearing a sleeved black romper in an amazing Tetris-style print, Depp added a little extra bling to her look with C-embellished jewelry and shiny, patent leather Mary Jane shoes. Seated next to Usher at the Chanel “data center” — the fashion house outfitted its runway with servers as a comment on wearable tech and the future of fashion — Depp nearly stole the show. That’s unsurprising, though, considering she’s the face of many of the brand’s current campaigns, including Chanel No.5 L’Eau and Pearl eyewear. 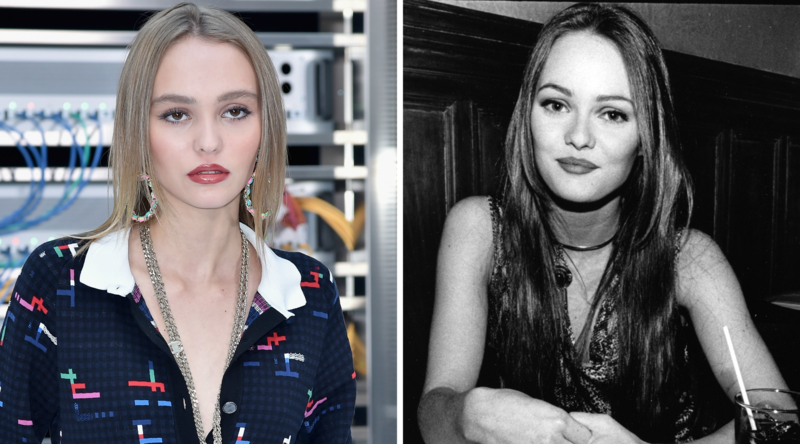 In addition, with her dark pout and natural eye makeup, Lily-Rose was the spitting image of her mother, Vanessa Paradis, who was also a Chanel model at one time. They are so beloved by the brand, in fact, that the mother and daughter were both involved in Chanel’s epic fall 2015 couture show in Paris, which was casino-themed and featured actual gambling tables. Lily-Rose entered first with other young stars, including Kristen Stewart and Rita Ora, then stationed herself at a roulette table. 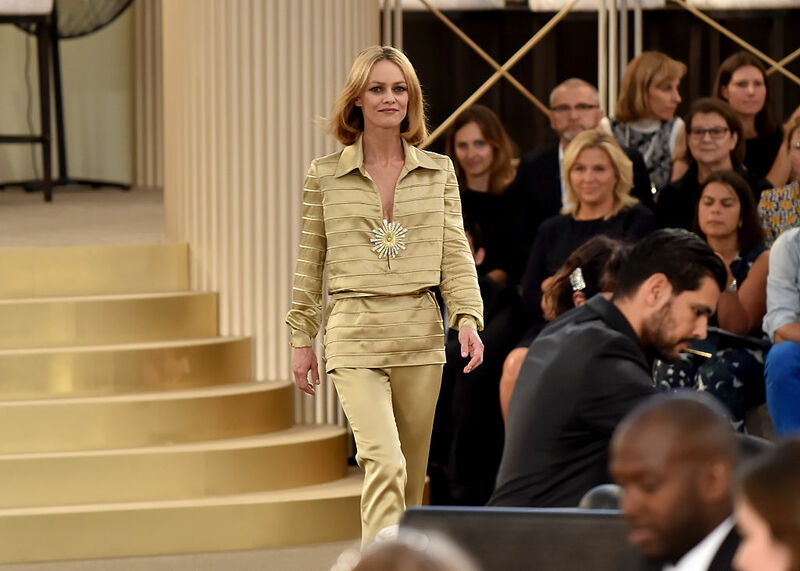 Paradis then made her entrance, looking chic as ever in gold Chanel. There are definitely some good genes in that family!